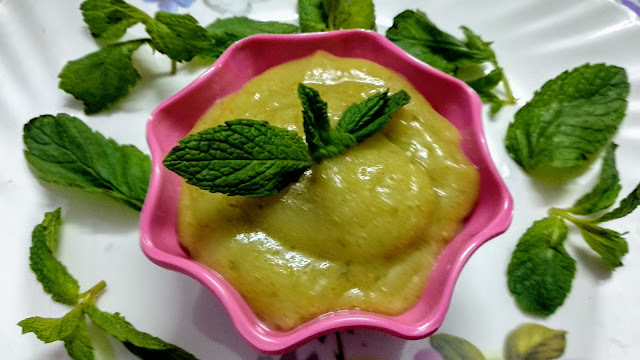 Refreshing and cooling, this mango Mint chutney is perfect for these summers. It is prepared from raw mango, but I have boiled it little as I don,t like very sour taste of raw Mango. Can be served with paratha, puri, chapati or even a slice of bread. So let us start. Remove the skin of the mango and chop it finely. 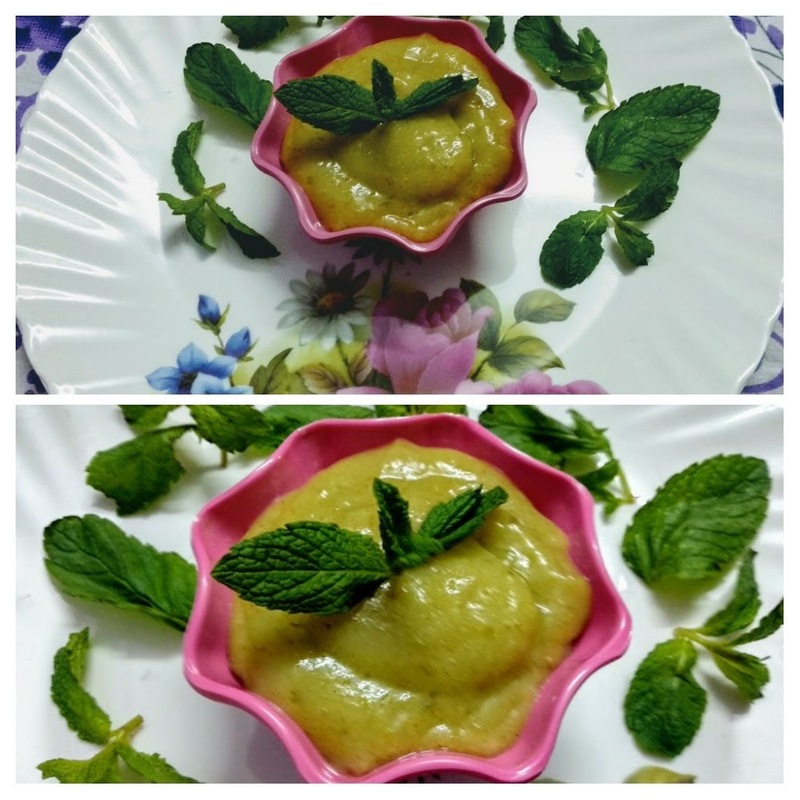 If you don,t like very sour taste, you can boil it for ten minutes and then remove the pulp and use it. Cut the onions and green chilli into pieces. Wash the mint leaves and chop them. Add all the ingredients along with cut mango or mango pulp in a mixer and grind it to a smooth paste. Yummy and tangy mango mint chutney is ready. You can refrigerate it for 4-5 days.